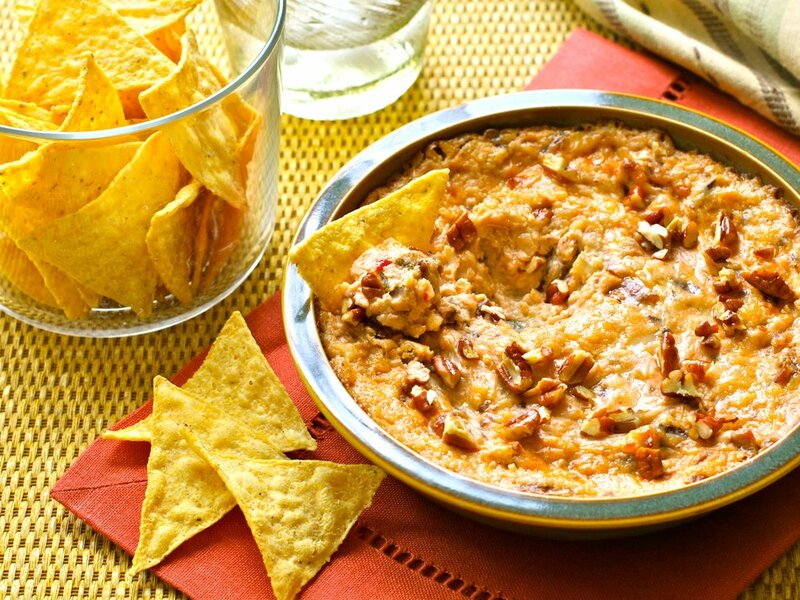 This BBQ Pecan & Cabot Habanero Cheddar dip is a perfect game day recipe for any crowd. Enjoy this free downloadable Game Day cookbook now. MELT butter in small saucepan. When hot but not bubbling, add 1/2 to 3/4 cup pecans and cook, stirring, until lightly browned, 1 to 2 minutes. TURN off heat and stir in barbecue sauce until well blended. BLEND cream cheese, both cheddars and sour cream in large bowl or food processor. Stir in pecan mixture. SPOON into baking dish and bake for 15 to 20 minutes or until hot and bubbly. (Alternatively, heat in crockpot, double boiler or microwave.) Serve topped with remaining chopped pecans. Made this....was delicious and didn't last long at all at the party! The perfect kick to it too! !